October means some of our favorite things: sweater weather, cooler temps, pumpkin spice everything, and some great food occasions on the horizon. 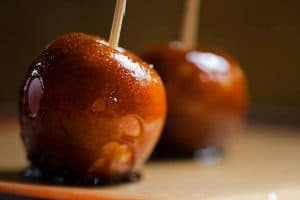 Starting with Halloween, there are so many good recipes and food themes ahead. Today, we’re sharing some of our “must makes” for Halloween! These recipes are tried-and-true and full of festive fun for the Halloween holiday and fall season. 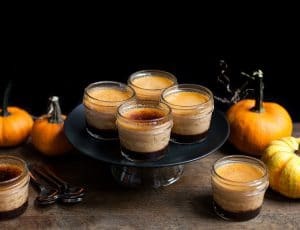 This chocolate pumpkin crème brûlée is a showstopping grain-free dessert that’s perfect for Halloween or any fall occasion. It’s also easy to make ahead of time! We recommend this for your adult parties because the flavor is just so good and indulgent! This no muss, no fuss recipe is perfect for Halloween! Customize with your favorite decorations and candy to fit your party theme! 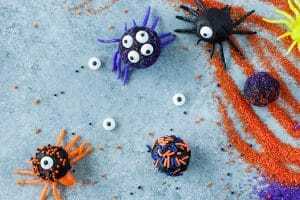 Kiddos will love this recipe because they can add their own decorations and make them as cute or spooky as they want to. October is here, which means Halloween is not far behind! This recipe is delicious, festive, and fun for the whole family. It’s an easy recipe to make and the result is sweet perfection. Festive, beautiful and DELICIOUS! These cupcakes are unlike any other. We’ve added caramel squares to them so once you bite into them they are filled with a sweet, ooey, gooey center. 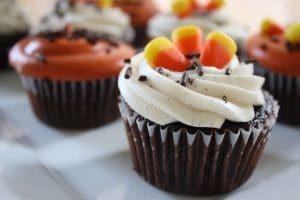 They are the perfect Halloween treat! 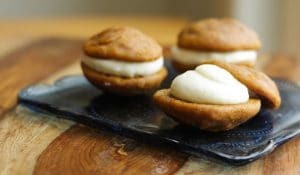 The trick is, they have some healthy ingredients, the treat is you also get an incredibly delicious recipe! This recipe comes from our friend Beth at The First Year. 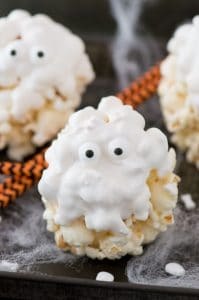 We love the simple recipe with the fun twist for Halloween!